Why Do We Need New Messengers? We have been given enough knowledge already and do not need more. We need to apply what we already know. No one can save us. We have to become what has been taught to us - become the Christ, become the God Presence in action. No new teacher can do this for us. The knowledge of the I AM Presence has been thoroughly presented by Mark and Elizabeth Prophet and the other former Messengers: Godfre, Lotus, and Geraldine Innocente. To say we need new Messengers somehow diminishes the past Dispensations and implies that we were not already given all the Teaching we need. Don't talk to me about Messengers! I've been down that road and already know what it's all about. No thanks. The Shearers' proclamation of a New Dispensation is unsolicited and they are unwelcome. We are quite content with what we have already, and we suspect their motives. A thoughtful response to the question "Why Do We Need New Messengers", should therefore address these points of concern. Following are ten reasons why I believe that the Ascended Masters have indeed decided to anoint, train, and send forth two new Messengers - with responses to the above concerns included. 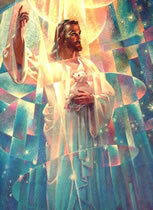 The Ascended Masters are progressive and Their teachings are often termed "progressive revelation." Active Messengers in physical embodiment are absolutely necessary in order for the Ascended Masters to comment on planetary circumstances that are in flux and constantly changing, to direct the students in decree work, to inform, influence, and en-Lighten students about new or changing conditions for their edification, and for their opportunity to assist in planetary Transmutation. Ascended Masters want to enlist the aid of Their students in the Masters' on-going determination to bring forth a Golden Age of EnLightenment. The Masters are creative, thoughtful Beings of great Light and Love and Power, but They require the help of embodied students to bring Their noble Plans into the physical world. Many students have taken embodiment specifically to be in service with the Ascended Masters. It is extremely difficult for the Masters to get through to Their students in embodiment to enlist their aid. Active Messengers provide this essential link - to the joy of Masters and students alike. To have the students work in concert with each other on the Plans of the Masters is possible as a result of embodied Messengers. 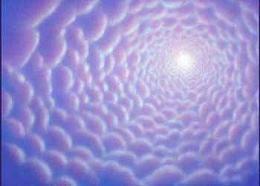 The Ascended Masters desire to release Light into the physical octave. They apply to the Karmic Board for special Dispensations, and when they are granted the Dispensation to have trained and anointed Messengers in the physical realm, the Masters are able to utilize the chakras of the Messengers to bring a greater Light into the physical octave. It is true that prayers and decrees can and do bring in great Light, but the radiation of students of Light is yet to be as great as Ascended Beings that carry a Momentum of Light that few, if any, students can match. Therefore, Masters and students, as well as the planet as a whole, benefit from embodied Messengers specially trained to allow for the Masters to radiate Light into the physical octave. The Vibratory Presence of Divine Beings during a Dictation creates a force field of Light Energy that saturates the auras of the students. This increase of Light in the aura magnetizes the I AM Presence to the students' outer awareness. Hence the spiritual progress of each receptive student is enhanced and accelerated. Whereas many students of the Masters have benefited from this Radiation in past Dispensations, there are many that have yet to hear their first Dictation and have therefore not benefited from the acceleration that occurs. There exist thousands of students of the Masters who are currently in embodiment and have yet to connect with the Great White Brotherhood in the outer. Active Messengers actively promote the relationship between these students and the Masters they have committed on the Inner to working with. There are yet unborn students of the Masters who have a mission to fulfill which involves and requires embodied Messengers to help establish the connection. Think of your sons and daughters, your grandchildren, and your children's children. Everything the Masters want us to understand has not been released yet. While it is true there is a great backlog of Teachings, there yet exists much more that the Infinite Mind of God can release to us as we progress higher and higher. For example, Saint Germain has labored for years in His Retreats with certain inventions that He wants to release and reveal when the time is ripe. And there are sealed areas in the physical world which contain significant ideas and technologies from past eras, such as Atlantis, which will eventually be given to all. Messengers in direct contact with the Ascended Masters can facilitate the release of these locations and Dispensations when the time is appropriate. New Messengers preserve the continuity of contact between the Ascended Masters and Their students from past or present Dispensations into the future. The training and preparation of succeeding Messengers preserves the on-going contact between Heaven and earth in a special way. 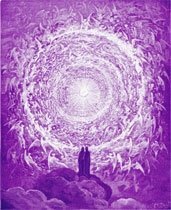 While it is true that the transition from a former to a current Ascended Master Activity has not yet been smooth or easy, The Temple of The Presence has established by-laws that assure that the transition to succeeding Messengers will avoid the agonizing stress that it has thus far caused. The Golden Age of Saint Germain is only beginning. This great Master will write large upon the still white paper of the future. His anointed Messengers assist Him by providing a vital link to His embodied students. By training His chela Godfre, Saint Germain started the Dispensation of Messengers who deliver live Dictations. This Dispensation provided sufficient response from students in the application of the Violet Flame that further Dispensations of this kind were permitted. It is His prerogative to continue to pour out His Radiation through trained Messengers. If He wants to continue to do this, how can we conclude that it is an unimportant Dispensation and shun it, because we've already experienced former Messengers? That hardly seems a wise response to this magnificent Master. One day you will meet Him face to Face. Explain to Him then why His plan for continuity of contact through new Messengers was of little value to you. Ascended Masters preserve the prerogative to correct misunderstandings of past Dispensations through a new Dispensation. Whether these misunderstandings were intentional or not, the students can become entangled in them and create karma for themselves and their community. Here I will reference the judgment calls specifically. El Morya has made it clear through the Shearers that this practice is not one that Ascended Master students should engage themselves in. There are other examples that could be given. The Masters have commented on many through the current Dispensation of The Temple of The Presence, and I have found these clarifications and corrections especially liberating. Others I have spoken with who have embraced the New Dispensation have also found these truths to create a consciousness or environment of love and joy within themselves as well as within the communion we hold with each other. Master Morya on "other Messengers"